Giving Hope Arizona strives to educate and inspire nonprofits and the giving community to work together and enhance the quality of life in Arizona. Founded in 2014 and expanded to a digital publication in 2016, our expert contributors provide advice and helpful tips on branding and strategy, technology, clever marketing tactics and much more – all for the nonprofit and giving community. Take advantage of our resources and become a member of the Giving Hope Arizona community today! The Giving Hope Arizona website is targeted to marketers of nonprofits and the businesses that support the, with the hope of creating mutually beneficial partnerships. This new format is easier to consume and offers you more opportunity to extend your brand reach, attract funds and volunteers. Our Giving Guide / TV Nonprofit Directory allows you to share your story through informative, dynamic content and the bi-weekly newsletter, 2 Minute Crazy Good Ideas, will provide our readers with a quick glance at the most recent content shared in the community. Take advantage of our resources and become a member of the Giving Hope Arizona community today! Giving Hope Arizona is made possible by Maagcommplus and New Angle Media. Maagcommplus was formed by Al Maag, former chief communications officer of Avnet, Inc. Our companies’ expertise lies in developing creative approaches around thought leadership and adding personality into a company and or in charity organizations. We are a full-service, fully integrated agency, offering big-time experience. 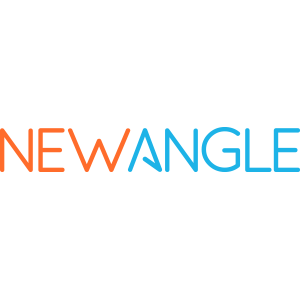 New Angle, a technology-first agency, creates software, solutions, and studio productions to enhance user engagement for global brands. The Alliance of Arizona Nonprofits was formed in 2004 to be the unifying voice of the nonprofit sector in Arizona. We are the only statewide association dedicated to serving the needs of the more than 20,000 nonprofit organizations all across Arizona. Giving Hope Arizona’s knowledgeable and experienced staff is dedicated to providing the nonprofit community the resources they need to meet their goals.